1,225 acres farmland with Farm-to-Market and county road frontage. 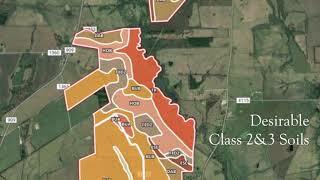 Farm contains Deport, Houston and Burleson clay soils. Farm has topography to add pivots and water reservoirs. More information and soil info available upon request.